Everything is so deeply embedded into the social consciousness that you’re either “off the grid,” or completely connected to everyone and anything. It’s become increasingly more challenging to find a compromise, as more and more apps request access to your camera and photo reel despite the fact that they provide completely unrelated services. Sometimes I just want to look up a good vegetarian paella recipe without sharing my latest vacation pictures. 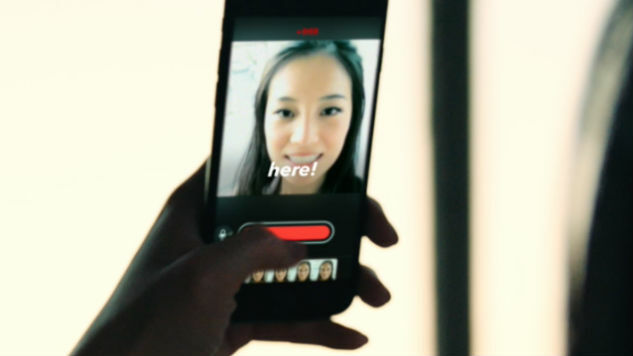 But Clips, a new social video concept from Apple, lets you know its aim right out of the box. It wants to use moving pictures to unite its user base through various filters and gadgets. Who knows if it’ll catch on, but in the meantime Apple still has some work to do. While the app is straightforward (you press “hold to record” to record short clips at a time and string them together, similar to Vine), the UI is not. Apple has been doing this very weird anti-Apple thing these past few years where they defy basic user interface rules and concepts, ones that they built their very brand of “it just works” on. A perfect example is that several updates ago, the repeat track button vanished completely from the base music app screen. Now it’s buried below another hidden menu that you need to drag to access—something Apple only recently explained. When power users have to Google things like “how do you use the repeat feature?” you know you have a problem. Alas, Clips hides some of its more useful tools below the fold. When applying filters (like the impressively wavy and full of life comic book, or the less effective chrome) you need to swipe up to find more—a fact that Clips fails to tell you. The same goes for stickers (which are limited at the moment, and need to be opened up to the generic sticker cache from iOS), the small selection of emojis, and transcriptions. The transcription concept is really cool, and works similarly to annotations on YouTube. If you click the speech bubble icon you can choose between multiple text options, and it’ll instantly translate spoken words and put them on-screen. It’s not 100 percent accurate (especially if you’re outside or there are multiple conversations going on), so the fact that it’s an option is ideal. Eventually after fiddling with everything described above for about an hour, you’ll understand the true purpose of Clips—to create a “quick” living video with lightning fast edits. So you might put up a “this is happening!” meme splash screen (please don’t) before you record yourself cutting loose on the dance floor with a celebrity, then add in audio transcription from gawking bystanders, followed by a “the end” title card and a picture of your cat, swiped from your photo library. Strangely some of these pieces of content need to be downloaded (in my experience, on WiFi, it can take up to 10 seconds), even if the app is fully installed. After repeated use you’ll have all of the tools of the trade, but it’s a pace killing exercise to have to wait for a bar to load before you finish a spur of the moment video. As the pièce de résistance, you can add in an innocuous built-in music track or (thankfully) choose from your own selection (again, the native iOS support really elevates Clips). Sharing (the end goal of the app) is the easiest part. Since it’s natively built into the OS you can instantly send it to a contact or any number of apps. Or, just save it manually to your camera roll and share it out anywhere you please. While my life isn’t exciting enough to warrant constant video editing and recording, the best use I’ve seen from it so far is for chronicling rote activities like daily commutes or exercise sessions and making them a little more charming. It’s kind of like a mini PowerPoint, all told. Just the other week I was in Iceland and a plate of traditional (vegan) Icelandic food made its way onto my table. Everyone else in my group, and I mean every person pulled out their phones and took photos before we ate. Sharing has become so intrinsically linked to our lives that we can’t escape it, even if we don’t partake in it (I did, by the way, by sharing photos with my wife like a mini-documentary of sorts). Clips is just another part of that future as a somewhat accessible and fun product. In the end it winds up straddling a weird middle ground between the complexity of iMovie and the incredibly user friendly Instagram.